As part of the release, the brand also introduces the new TOUR360 XT SL, the first-ever spikeless version of the TOUR360 in the history of the iconic shoe. 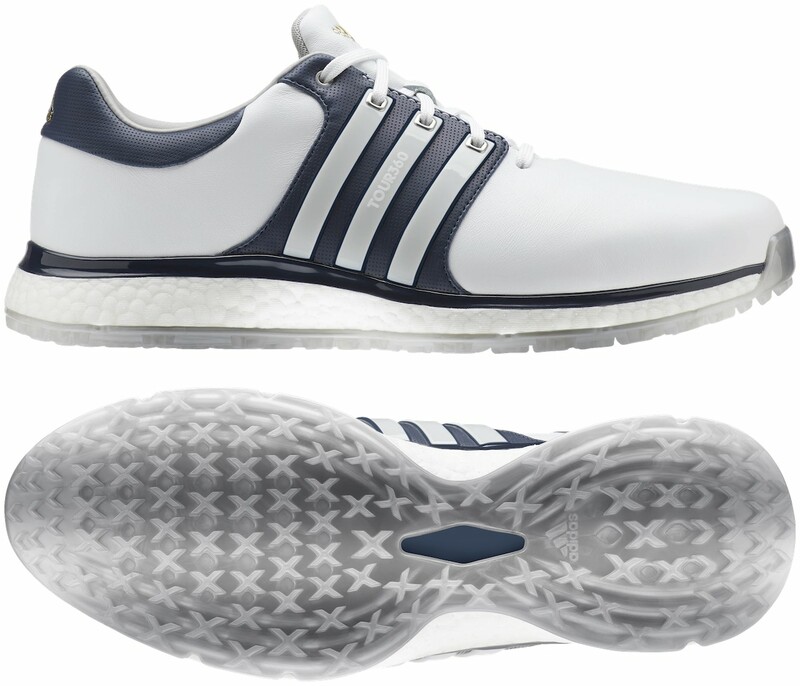 Win one of 3 pairs of adidas Tour360 SL spikeless shoes! The new footwear, available from 1dt February, earns its name due to the X-shaped traction system (X-Traxion) on the outsole, providing multi-directional grip throughout the swing. 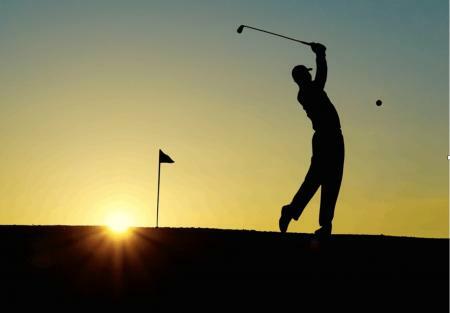 These X-shaped lugs provide more stability and can react with better traction through uneven lies due to their eight-sided touch points with the ground. 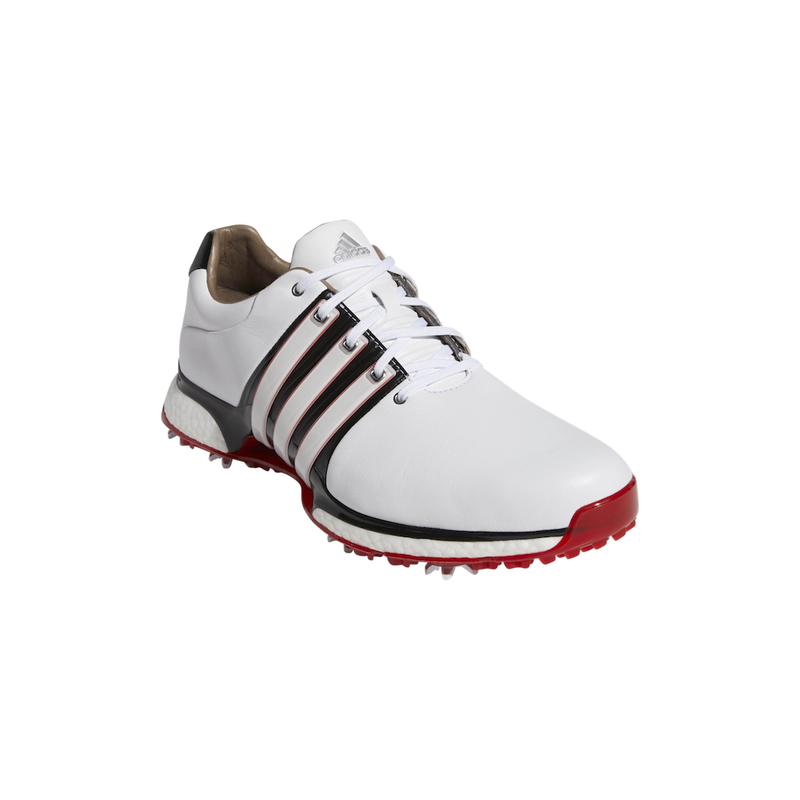 Changing the definition of what a performance golf shoe can be, the TOUR360 XT SL (£139.95 / EUR219.95) is the first highly technical spikeless TOUR360 that adidas has ever made. As most players want a shoe that’s extremely comfortable, yet still provides the stability and traction needed for the golf swing, the TOUR360 XT SL is the answer. The entire outsole features the X-Traxion lug system, strategically placed so players get the comfort of spikeless while still maintaining the grip they expect from a high-performance shoe. The X-shape lugs also vary in height, allowing for some lugs to go deeper into the ground, which adidas found to help increase overall traction. The shoe is also highlighted by the X-Torsion system through the midfoot to provide more stability and control throughout the swing. The X-Torsion system features an X-shape, connecting the heel and forefoot, which is visible through the TPU outsole. Players will appreciate full-length BOOST in the midsole, providing unparalleled energy return and even more comfort throughout the round. 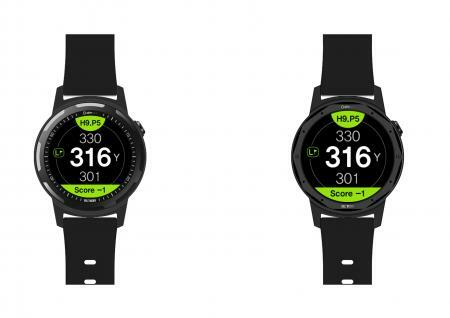 The TOUR360 XT SL comes in four colorways with a one-year waterproof warranty and is sure to change the game in spikeless performance footwear. “We wanted to make the highest performing spikeless shoe in the industry,” said Masun Denison, global footwear director, adidas Golf. 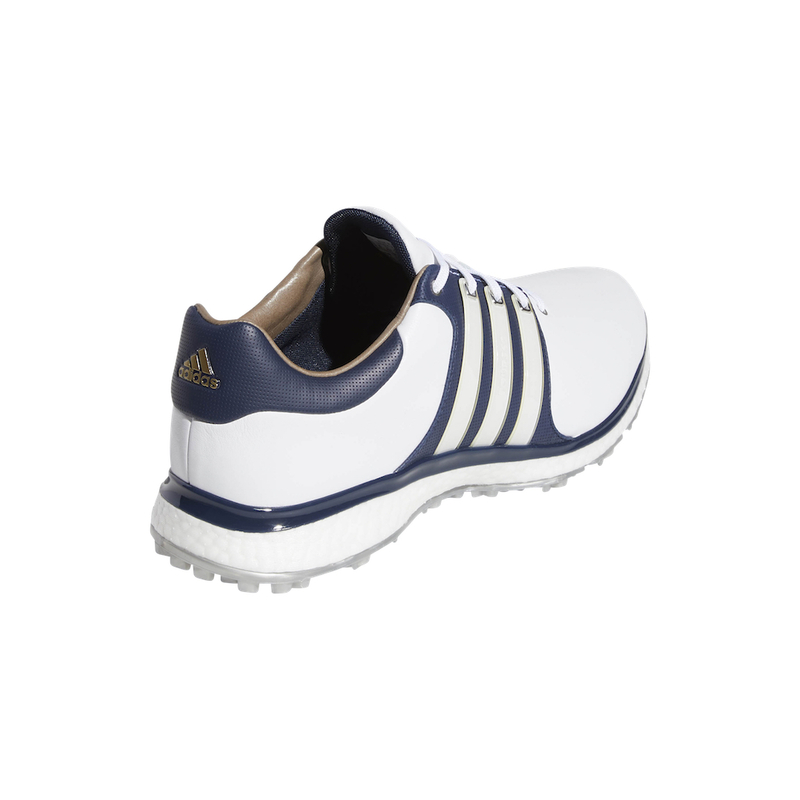 The TOUR360 XT (£159.95 / EUR219.95) is completely redesigned. 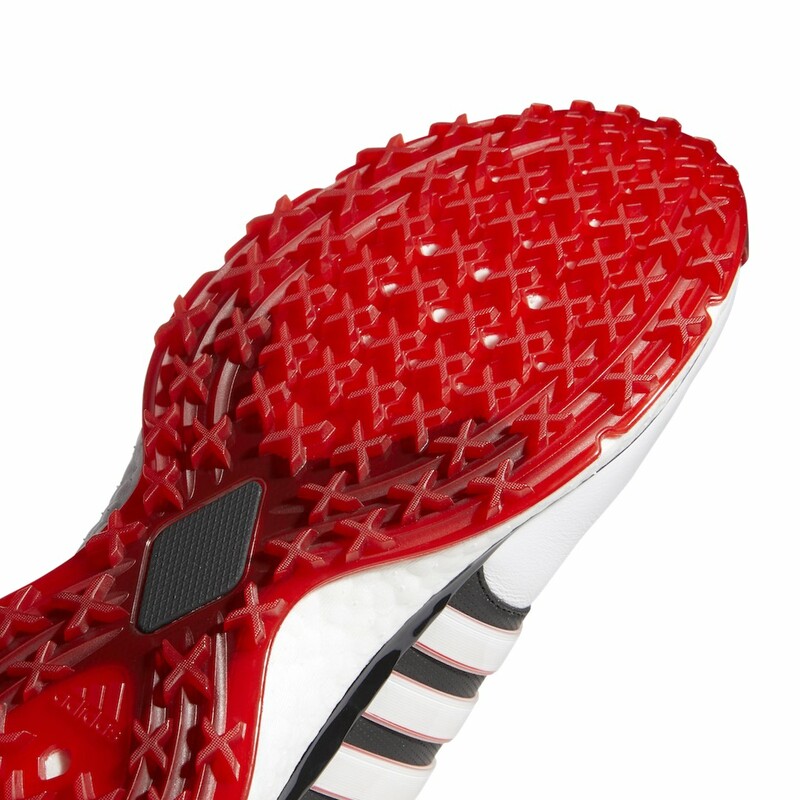 One of the key features is the new TPU outsole. adidas implemented a new eight-spike execution in combination with the X-Traxion secondary lugs for additional grip and stability. 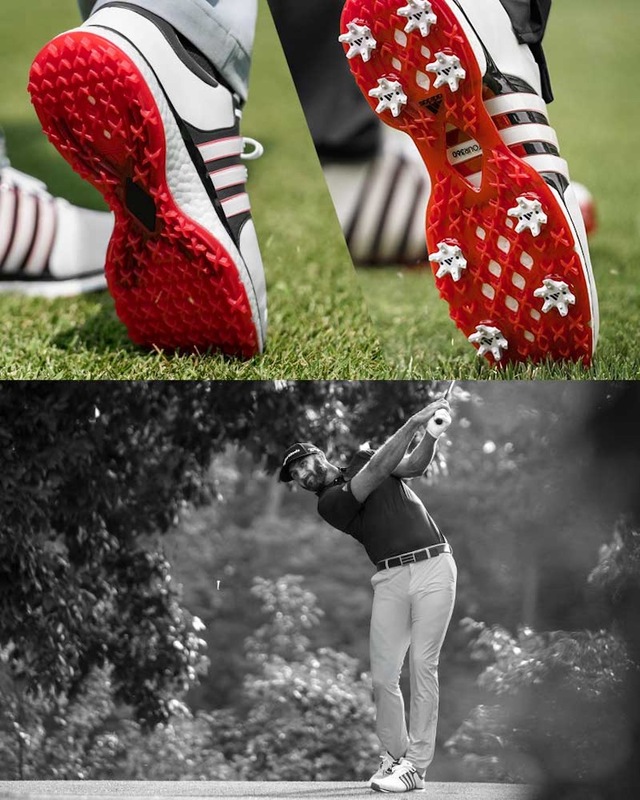 By removing two spikes from the previous model, adidas increased flexibility and comfort while decreasing overall weight, benefits all golfers are looking for. BOOST, the best cushioning in the game, has also been re-engineered from heel to toe. BOOST pieces in the heel and forefoot are now slightly wider and move through larger expansion holes on the bottom to improve both stability and comfort. The new BOOST cushioning has a lower-profile execution for improved aesthetics while also giving players a better feel with the ground. 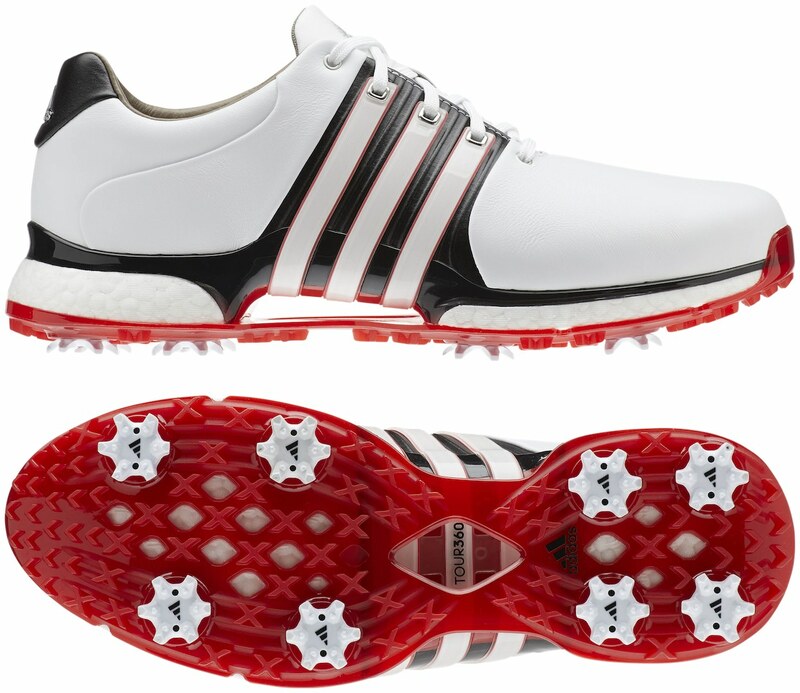 Underneath the 3-Stripes in the TOUR360 XT, adidas implemented the new forging technique by heating that portion of the upper to increase stability in the midfoot while also reducing overall weight of the shoe. It features a rich premium leather upper that comes with a two-year waterproof warranty. It will be available in four colorways.